This hotel comprises a total of 29 rooms. Full-service facilities on offer to guests include free high-speed Internet access, a free continental breakfast, a free weekday newspaper, free local calls and free coffee in the lobby. Business travellers will also appreciate conveniences such as large executive desks with ergonomic chairs, speakerphones and computer hook-ups. Guests will also enjoy the on-site gym and the hotel features a 2-storey glass atrium with a glass lift. 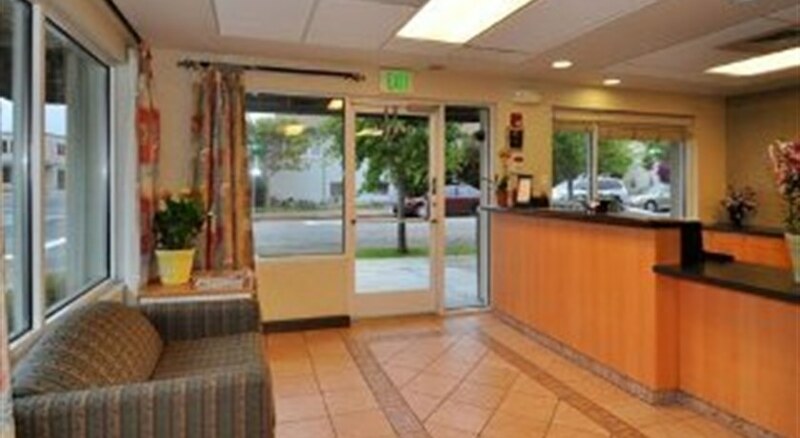 All the spacious guest rooms offer cable TV, a hairdryer, a coffee maker, an ironing set, a microwave and a fridge. 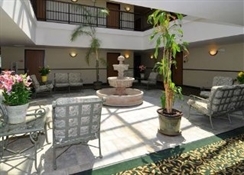 Suites with spa bathtubs and wet bars are also available. Guests can also choose the Evergreen Rooms, which feature filtered drinking water and air filter systems. 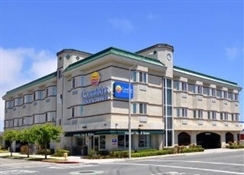 Whether travelling for business or pleasure, this is the perfect destination for anyone visiting the San Bruno and San Francisco areas.